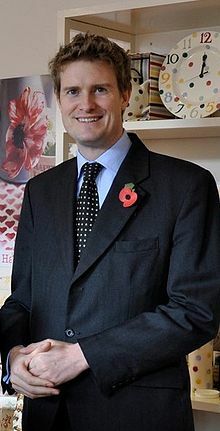 Tristram Hunt is not an Education Secretary. But he was announced today as the new Shadow Education Secretary. 1. Hunt was educated at University College School, an independent school. This is not unusual. 93% of previous Edu Secs were educated at selective schools. 2. His birthday is 31 May 1974. Until 2004, no Edu Sec had ever had a birthday in May. If Hunt became Edu Sec in 2015, he would now be the third. 3. Hunt was born in Cambridge. No Edu Sec has ever been born there. Or within 60 miles of there. 4. Hunt studied History at university. This is the most common degree for an Edu Sec to study. *Yawn*. 5. Hunt attended Trinity College, Cambridge. He would not be the first Edu Sec to go there. Geoffrey Lloyd also attended. 6. Hunt will be 40 at the next election. If elected, he would be a whole decade younger than the average Edu Sec taking up post. 7. Hunt has three children. This is the same number as four past Edu Secs, including Ed Balls (who was also 40 when he took up post). 8. He would be the first Edu Sec with the name Tristram.